Here in the UK we have a history of adopting aspects of American culture, but Hip Hop has become a worldwide phenomenon. According to the U.S. Department of State, hip hop is “now the center of a mega music and fashion industry around the world”. It defies any social barriers and is universally popular across all races, despite it’s humble, niche beginnings. The sound and style of Hip Hop differs from place to place, fusing with different styles and branching out into different genres. Once an avoided culture it is now referred to as “the world’s favorite youth culture” according to National Geographic, with over 100 million fans worldwide. This is owed, primarily, to Hip Hop’s ability to merge with different, preexisting genres and to influence fashion and behavior as well as sound. Of course, Hip Hop has not been as readily accepted in countries with a strong local culture. Ironically enough this is true of Jamaica, the home country of Hip Hop’s founder; DJ Kool Herc. That is not to say that there is no local Hip Hop culture in Jamaica; as against the odds, local artists like Five Steez have found recognition online. While many people would argue that Hip Hop is a culture that promotes a division between Western music and music from the rest of the world, Hip Hop’s ability to merge with different genres proves this to be untrue. Hip Hop music and culture allows the mistreated and under-privileged to be heard, and this is relate-able the world round which is what makes the genre so accessible and popular. The message of Hip Hop resonates so well that It is even used by Non-Government Organisations in Sweden to engage disaffected immigrant and working class youths through the mediums of music and dance. 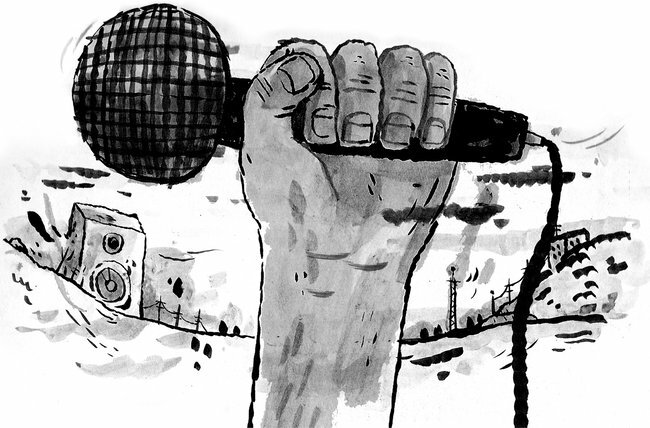 In Libya an anonymous musician used Hip Hop music to fuel the rebellion of the Arab Spring. Hip Hop has, and always will be, the musical face of revolution.